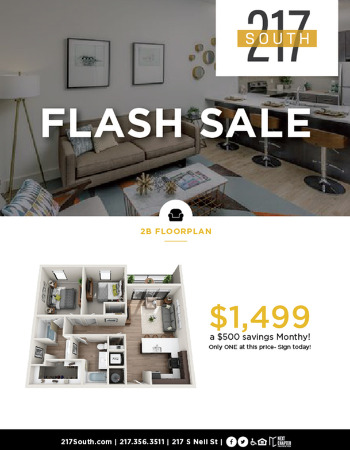 With several options available, our variety of 1 & 2 bedroom floorplans offer luxury and comfort. Putting you at the center of sophisticated urban living in Champaign, IL. Situated at the gateway to Champaign's vibrant restaurant, nightlife, art, live music, and retail district. Cultivate the metropolitan life you've imagined in a stunning living space with downtown literally at your doorstep. Offering one and two bedroom apartments located in the heart of Champaign IL. With secured access, covered parking, elevator service and a management office onsite you will immediately understand why 217 South is the best choice for your next home. Don't miss out on your chance to live the 217 South lifestyle. 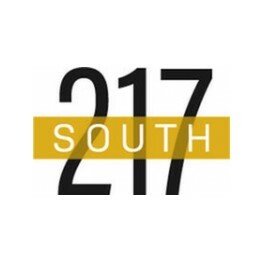 At 217 South, we host frequent resident events to establish a community you're proud to be a part of. Choose from a variety of 1 & 2 bedroom apartment homes. Please call for more information regarding our pet policy.